A very special thank you to our event sponsors. Without their involvement The Agora Art Fair would not be possible. These sponsors give generously of their products, their facilities, their services, and their time. They provide the beautiful setting and the backing to keep it going. And they provide all the behind-the-scenes support that often goes unnoticed, but never unappreciated. Promega: Longtime supporter of the Arts through its Quarterly Art Shows at the BTC (BioPharmaceutical Technology Center) in Fitchburg Center, Promega Corporation continues to support the Fitchburg community though both sponsorship of this event and in-kind services related to organizational services. Thank You Promega! Capital Brewery: Once again featuring their fine artisanal blends at the Agora Art Fair, Capital Brewery is one our most “refreshing” sponsors. During the summer months they feature live music out in their brewery site Bier Garten, and they are proud sponsors of The Capital Brewery Stage and beer garden at the art fair. Madison Essentials Magazine: A quarterly magazine promoting the Greater Madison area and its independent businesses and organizations. Pick up free copies at over 150 locations, including grocery stores, restaurants, retail stores, entertainment venues, hotels, and visitor information centers. Our magazine serves as your guide to local services and suggestions for where to dine, shop, and play. Tim O'Brien Homes: Tim O'Brien Homes is dedicated to building homes where green building is a standard feature and not an option. It is their ambition to make a positive impact for their industry by continually improving the home building process to deliver their clients a wonderful experience that reduces the level of stress in building a home. It is this innovative approach to continually advance their craft that defines the culture of Tim O'Brien Homes. Connect Fitchburg: Connect Fitchburg is your unbiased online news source. Their proven track record in reporting the news and events in Fitchburg is a long-standing duty they do not take lightly. Their sponsorship of the Information Tent provides art-fairgoers with programs, papers, and other resources related to Fitchburg. Thanks to them for their help in spreading the word to Fitchburg and the surrounding area! 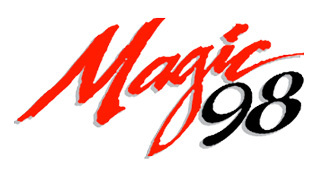 Magic 98: Magic 98 is an Adult Contemporary radio station based in Madison, WI, featuring local personalities during the day and the Delilah show at night. Twenty years strong, many of the original on-air personalities are still with the station. Be sure to tune in at 98.1 for Saturday at the 70s as you make the drive to the art fair. Fitchburg Center: Fitchburg Center continues its long-standing support of the Fitchburg Community through its sponsorship of coordination and location for this successful event, now in its 5th year. Fitchburg Center is known for its long-term vision and commitment to sustainability. Commercial lot and retail suite opportunities abound. Exceptional Quality in a Spectacular Setting! Fitchburg Chamber Visitor & Business Bureau: The Agora Art Fair is both fun and relevant to the City of Fitchburg. The Fitchburg Chamber Visitor & Business Bureau makes it even more so. Their financial support and volunteer assistance have been crucial in allowing this event to grow and prosper. Stop by and visit them as they man the Beer Garden with helpful chamber members and community supporters. The Agora: What would the Agora Art Fair be without the support of our own local retailers? Not only do the Agora shops support this event, but they do so with innovation and creativity. Stop by each of their businesses and see what makes each one special - Kneaded Relief Day Spa & Wellness, Ecco Salon, Perennial Yoga & Meditation, Bilancio Eyewear, and Red Square Flowers & European Gifts have distinctive local service second to none.